I’m a visual thinker; I love looking at images. If I think about my search behavior, I catch myself looking at images quite often, for instance when I want to know what city X looks like. Or if I’m looking for a product I’ve seen somewhere, without knowing the brand or where I can buy it. You can imagine that there are a couple of cases when an image says more than a thousand words (I know, cliché) and that image search can be more useful than an overall search. The question is: how can I find out if I get traffic from image search? Let’s find out! Before we dive in, if you want to learn more about image SEO and other essential SEO skills, you should check out our All-around SEO training! It doesn’t just tell you about SEO: it makes sure you know how to put these skills into actual practice!! First off, some basics: what’s a Google image search? Google offers a search service that allows you to search the world wide web for images. You can go to https://images.google.com/ or just click on the images tab on https://www.google.com. 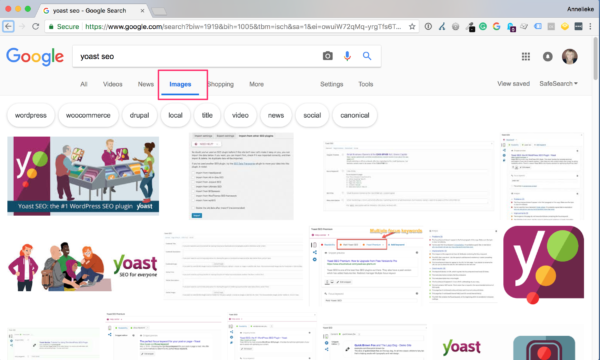 If you search for Yoast SEO in an image search, you’ll see something like this. 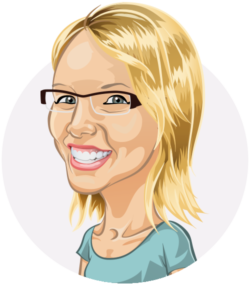 We consider our images very important and put a lot of effort into them, as you can see in our awesome illustrations. They’re an important part of our branding, a lot of people recognize Yoast just by looking at the image. But for search, images are less relevant for us. People searching for our SEO plugin or one of our SEO courses won’t use image search. The same goes for a lot of SEO terms people search for. But for businesses that depend heavily on images, image search is a vital part of their marketing. For online shops, travel agencies and food blogs, for instance, image SEO is important. And if something’s important, you want to know how it performs right? If someone clicks on an image in the Google image search results and decides to click on the link that directs you your site, you can detect this data in Google Analytics. And the way to do this is actually quite simple! I’ll show you how. One of the benefits of expanding the number of rows is that you can see the position image search has compared to your other traffic sources. 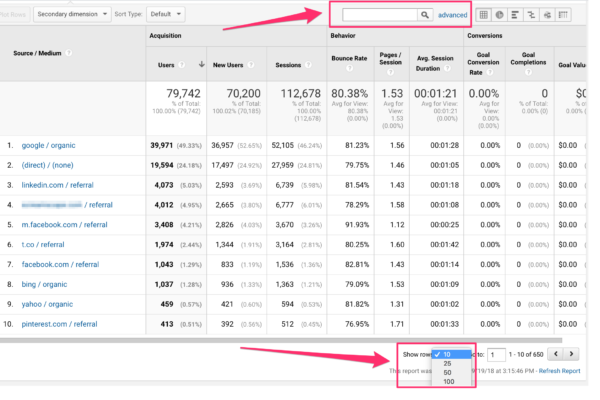 Plus, you can compare metrics like Bounce Rate and the number of sessions. The benefit of using the search function is that it’s a quick way of looking for image search traffic. In the case of this particular website, 30 users (cookies) came to this website via an image search in Google, and they all bounced back immediately. So, for this website, image search doesn’t really lead to anything. It’s possible that image search isn’t important for this website, or that they should put more effort into their images and image SEO, making sure that it matches the expectations of the visitors more. If you’re curious to find out if people come to your site by doing an image search in Google, then Google Analytics offers you the data to find out. Simply look for ‘google images / organic’ in the ‘source / medium’ report, and you’ll know if you attract any traffic with your images! This is the first time in a LONG time that I have read an entire blog from start to finish. 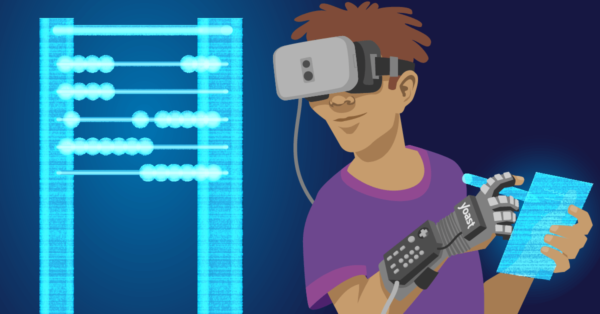 I’ve learned a lot from this article, and now I can check image search traffic in Google analytics quickly and efficiently. Thanks for the informative and great article! Hi, Annelieke. Your information is very fruitful. The use of google analytics will help me to analyse the traffic it is attracting. Thanks a lot for publishing this article for our benefits. Hope to get in touch with your other article soon. Your explanation of how to find out if people reach a site from images is helpful. But what we REALLY want to know is HOW to get our images high on google searches. That’s fundamental but you do not address it. So glad you posted this info as I have been wanting to see this particular data. I have an ecommerce home decor site and know for certain that I get traffic from google image searches (based on customer feedback) however in GA it’s showing zero visits from google images / organic for the past year. How can that be?